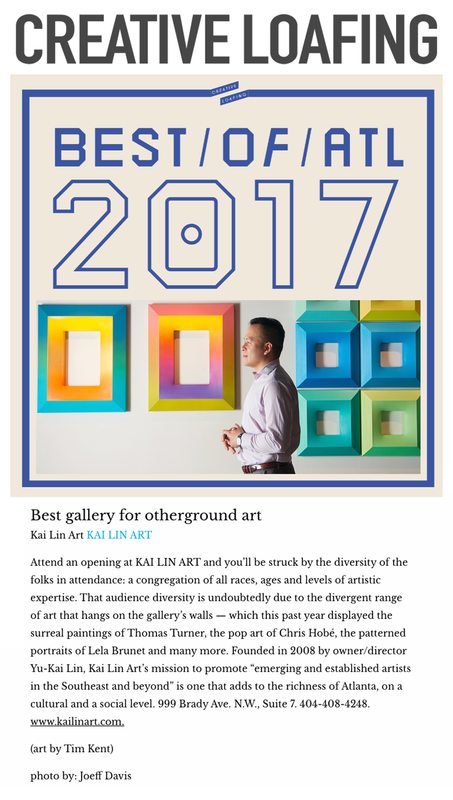 We are so excited to announce Creative Loafing has voted Kai Lin Art as "Critics Pick for Best Gallery" in Atlanta 2017!!! Thank you to all the wonderful people that have helped make the gallery possible. We are beyond grateful for your support and patronage over the last 9 years.